Te Koihua, who was the chief of Pakawau, Mohua , spanned the decades between authentic Maori lifestyle and the new society resulting from colonisation and European settlement. He remained a traditional chief long after fellow rangatira modified their behaviour to accommodate European laws and expectations. Te Koihua, son of Tohikura and Hurirangi, was born at Onaero, North Taranaki; he was of Mitiwai or Kaitangata hapu of Te Atiawa iwi. He migrated to Kapiti with Te Heke Niho Puta in 1824, and was a leader of the Tainui Taranaki alliance which conquered Te Tau Ihu in 1828-89. From approximately 1830 Te Koihua resided at West Whanganui and from the early 1840s at Pakawau. Te Koihua killed the Ngati Kuia high chief, Pakauwera, at Hikapu in Pelorus Sound1, and with Mauriri captured another important chief, Whioi at West Whanganui.2 Te Koihua and Te Puoho of Ngati Tama remained to control northwest Nelson, while others battled south into Te Tai Poutini. I n 1836 Te Koihua defended local villages against Te Puoho's ill-fated warparty on its way to Murihiku. He returned to Kapiti to support Te Atiawa in the battles of Haowhenua in 1834 and Kuititanga in 1839, although on the latter occasion he arrived too late to fight. Te Koihua fascinated Europeans and was treated with deference and respect by Maori. He was baptised Wiremu Kingi (after King William IV of England) in 1845, identified himself as "Native Chief" on the 1857-58 Massacre Bay Electoral Roll (when other chiefs chose "farmer", "sawyer", "carpenter" etc.) and was remembered by Pakeha as an early breeder of roan horses, an enterprise funded by selling pounamu . Te Koihua's main wife, by whom he had four or five children, was Rangiwhakapikia; his two youngest drowned in a boat capsize off Pakawau. When the ownership of his land was investigated in 1892 all his children and grandchildren had died without issue;6 his sister's children inherited. Te Koihua's son, Matarua, was baptised Hemi Kuku (James Cook) in 1844,7and married Ruhinara (Lucinda) Ngakori in 1846.8 Matarua hired one of his slaves, Tau of Ngai Tahu, to Brunner and Heaphy as porter on their 1846 West Coast expedition.9 He was appointed one of the first Native Assessors (1847), was a leader in the salvage of the Louisa Campbell wrecked on Onetahua (1847), and registered the Lucinda, a 37-foot schooner later that year. 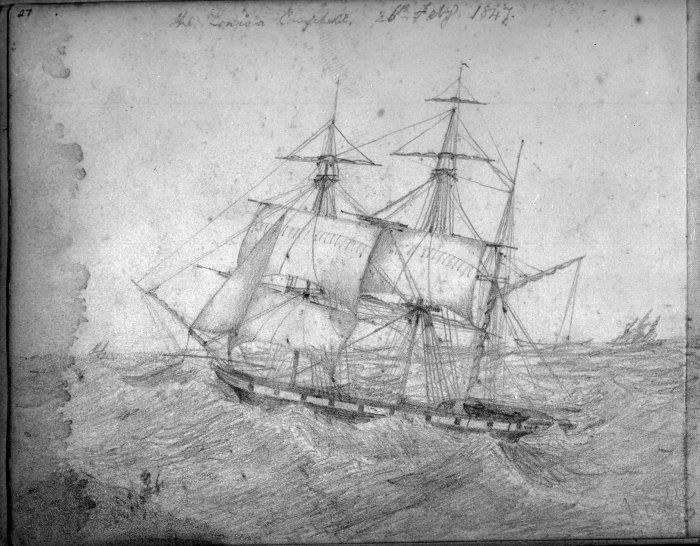 Matarua took gunpowder obtained from the Louisa Campbell to fight Government troops at Taranaki, where he was killed at No. 3 Redoubt in January 1861. This colourful whanau then became extinct, a sad loss to our community's history. Billy King Stream at Te Rae commemorates Te Koihua. Minute Book of the Nelson Native Land Court (NMB: No.2 ), pp309-310. NMB: No. 2, pp290, 301. Mitchell, H A & M J. (2004) Te Tau Ihu o Te Waka: A History of Maori of Nelson and Marlborough, vol. 1. Wellington, N.Z. : Huia Publishers. pp367-370. Mitchell, HA and MJ v.2 pp281-285. Want to find out more about the Wiremu Kingi Te Koihua ? View Further Sources here. Kia ora Josh. You are from Te Ati Awa in Waikawa. We would be distant cousins. I couldn't remember if Mere was married to Charles or someone else and unfortunately my grandma's memory is disappearing, great to have you say it is James. Mere's daughter Mary Boon married Charles Neal. This is a large Marlborough family. Have fun exploring your whakapapa now you know where to go next. Meriana Te Pohe was a descendant of Kohe and Rauia. She was half-sister to Ropoama Te One, chief of Te Atiawa, Waikawa, according to Hillary and John Mitchell in their book Te Tau Ihu o Te Waka (volume iv). Meriana Te Pohe had a daughter Mere who married (Charles?) Boon and had my great-great-grandmother Mary. I suspect there are two different families who have the surname Te Pohe. 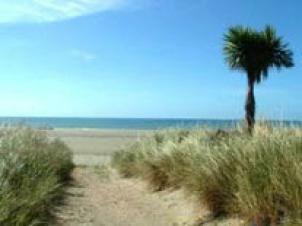 Ko Te Atiawa tōku iwi. This article was most interesting. My husband Larry Thompson (and therefore our children) are descended from Te Koihua and Rahita Te Pohe so we are intrigued to hear their line is extinct! This has been verified by the Whakapapa Komiti of Te Atiawa. Is this because Rahita was not the main wife? I can find no information about her and would be interested to know more. Ed. The authors are doing further research on this area. Howard, G. (1894) Erina: A Reminiscence of Golden Bay. Appendix, Lucas's Almanac. Nelson, NZ: Lucas and Son. ppxxv-xxxi, xxxvii-xliii. Mitchell, H A & M J. (2004-) Te Tau Ihu o Te Waka: A History of Maori of Nelson and Marlborough. Wellington, N.Z. : Huia Publishers in association with the Wakatū Incorporation Volume I: pp367-370, 384-386; Volume II: pp65-67, 88, 147, 257-258, 294-295, 356, 389-394, 398, 460-461; Volume III: pp.11, 13, 64, 185. Minute Book of the Nelson Native Land Court, No. 2. [held at Nelson Public Library].